(Unofficial) The PBF feed, but with paper loaded through the back instead of the front. Most of our customers are using the second, Front Fine Art feeder most of the time. And most of the time, if you follow the instructions in the PDF manual that came with your printer, things will proceed very smoothly. The surprisingly good and useful manual for the Epson P800 printer. 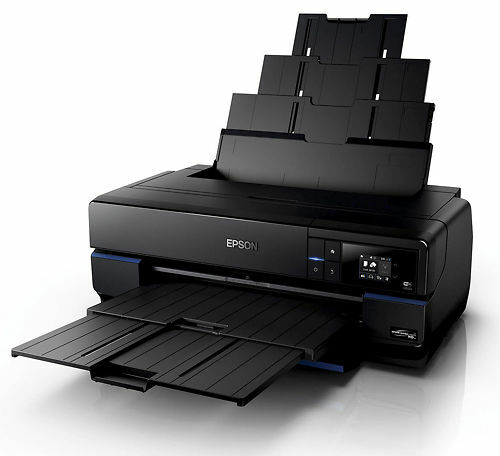 The surprisingly good and useful manual for the Epson P600 printer. Whilst the feeds work the intended way most of the time, life is not always neat and pretty. And fine art papers, whilst all looking like similar things, are actually quite variable - in weight, rigidity, and flexibility. And some are more tricky than others for printers to feed reliably, especially as you move up in sheet sizes towards A2, by which time the sheet is very large and heavy in paper terms (and expensive, in human terms!). So - here are a few possible methods to load these papers should you run into issues (like paper skew errors, failure to load the media, the rear tray slamming shut etc). If you're still having issues (e.g. it feels like the printer is obstructing the loading of the paper) - then you can use this same approach, but (and this is not in the manual) you can load the paper in through the rear of the printer rather than the front. OR - you can finesse how to load the paper into the Front Fine Art feeder. And this is well worth spending a little time on as it can solve most loading issues AND lets you use borderless mode, AND does not require moving the printer away from the wall. First, align the paper to the extreme right side of the FFA feed tray, such that the right (long) edge of the paper actually site ABOVE the loading guide on the right side of the feed tray. Now feed the paper into the printer at a slight upward angle so that it does not rest/drag on the feed tray (and it can take a little practise to get this angle right). It should go in smoothly and easily until it reaches the back where it then needs to curl up to run along the (open) rear paper support. If it feels stuck, don't force it or you'll ruin your paper - try starting again and varying your approach angle - you'll soon get the hang of it. Once the paper is definitely at the point of touching the rear paper support, if you meet with resistance, just push the rear support backward a little and keep feeding the paper - it should slide further in easily enough at this point. As you do this, align the right hand side of the paper with the right guide of the grey tray (i.e. Front Fine Art feeder tray - such that the sheet sits flush to that guide and to the front border line that marks where you should feed the paper to. Press 'LOAD' and with any luck, all should be well! This approach uses some basic bond/reflex paper to basically make a temporary ramp for the paper to slide up. (ideally use media the same size as what you want to print onFeed in the media you want to print on through the front feed). Ensure the printable media goes under the traction rollers and on top of the media you fed through the back. Push the print media into the printer ready to line up on the tray. At the same time pull the rear media up and out, this should pull the leading edge over the rear door section where it tends to get caught. 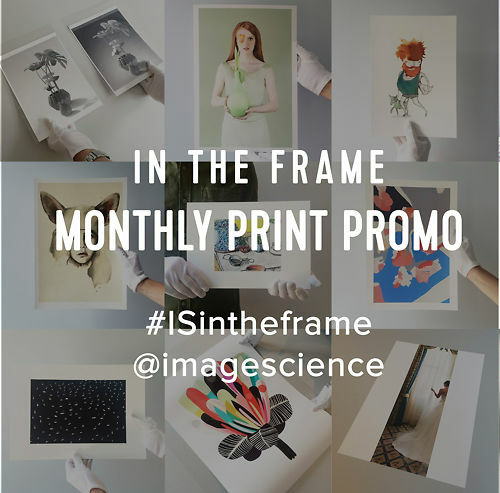 With any luck one of these methods gets you happily and consistently printing, even with difficult medias! I recently received my new printer and wanted to thank you all for such a great service - from online purchasing to delivery. My experience with your business has been really positive and I'm looking forward to using your services again.